Today is my first full day back in Texas, a state so hot that when you go outside during the summer you swear you smell like chicken. I have been too busy uploading hundreds of pictures of my trip to go anywhere near my kitchen, but luckily I had this recipe on hand specifically for this occasion. 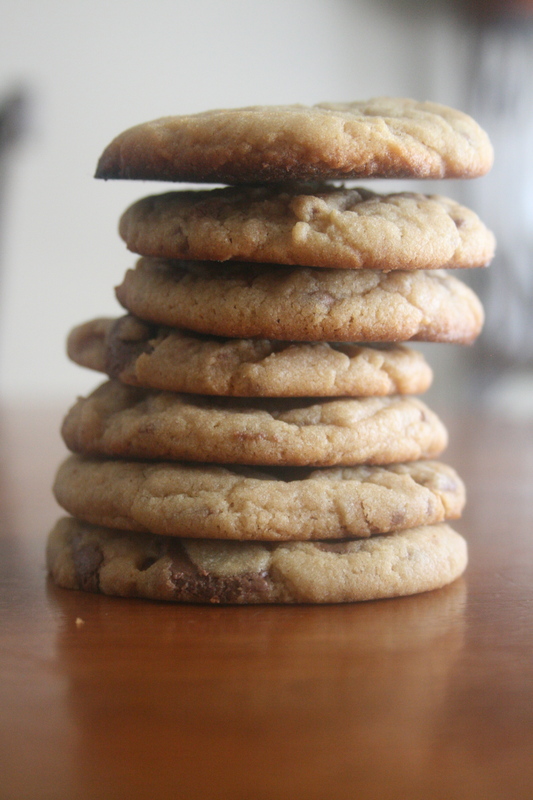 Remember a few weeks ago when I shared my Peanut Butter Oatmeal Cookie recipe for Canada Day? Well, originally I was going to share these with you instead. I decided the oatmeal cookies were just fancier and wanted you to see those bad boys ASAP. I got the idea for these cookies when we got a catered lunch at my office last month. We are used to having chocolate chip cookies at the bottom of our box lunches, but when we unwrapped them to discover the pieces were peanut butter cups this time I instantly knew I had to try to recreate this cookie. While my attempt is delicious, nothing will ever top the version from that lunch. It was perfection. 1. Cream together butter, sugars and egg. 2. Add peanut butter until mixture is smooth and creamy. 3. Mix in all the dry ingredients until well incorporated. 4. 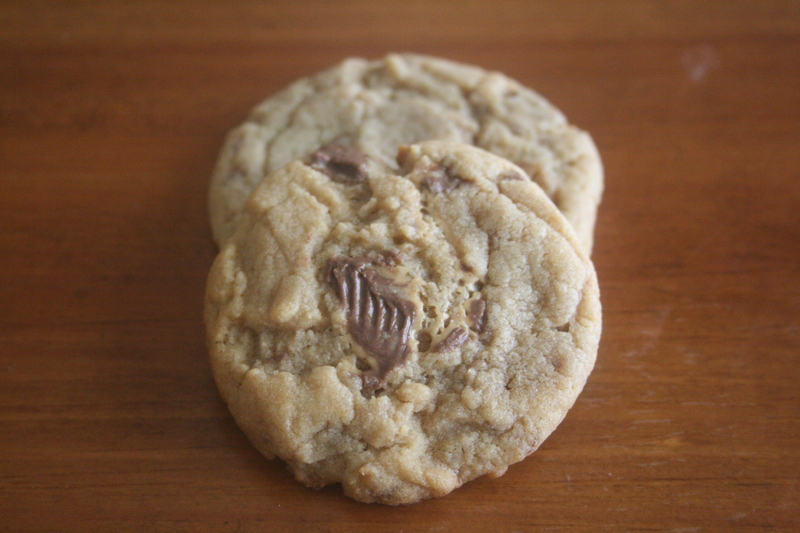 Gently add in peanut butter cup pieces, being careful not to chop them too much with your mixer. 5. Refrigerate dough for 2 hours. 6. Heat oven to 375 F.
7. Form balls of dough using a tablespoon. Place them on an un-greased cookie sheet and gently press them to make the tops flat. 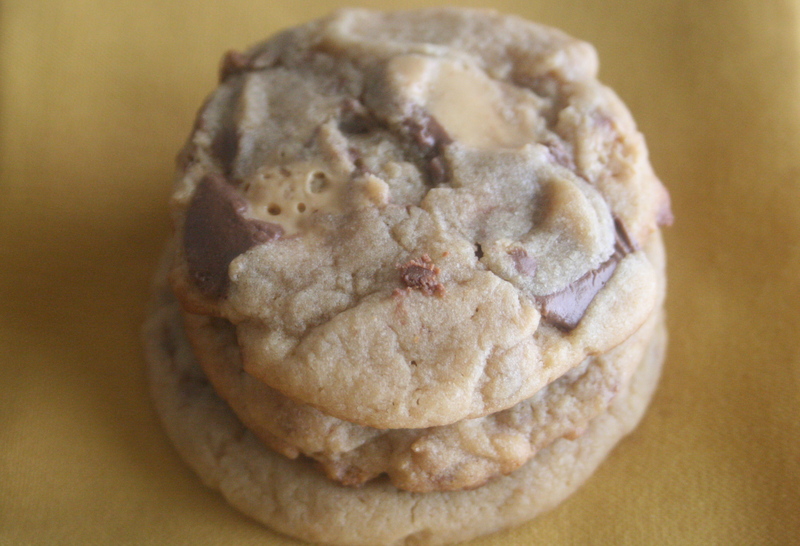 This entry was posted in Desserts and tagged cookie, dessert, peanut butter, peanut butter cup. Bookmark the permalink.